I try to commit at least one miracle each week, and this week I managed to get two. First one was a 15 year old Cadillac Escalade that someone had cut all of the wiring out of the console. It had a Bose sound system in it, and there was no information on the wiring anywhere on the internet. I figured out how to get an Apple Car Play stereo to work through the Bose system without the fancy interface some other shop had sold him that didn’t work in his car at all. I got nearly to the end of my day today before I committed the second miracle. I repaired a factory car stereo cassette deck. Yes, a cassette deck. Took it out of the car, stripped it down (about 25 screws and three circuit boards thanks for asking), replaced the broken belt, reassembled, and reinstalled in the car. One hour, five minutes. The punch line: the woman I did the work for was not the owner of the car. She had borrowed it from a friend and the stereo broke while she was using it. Saturdays … gotta love ’em! I’m often in the shop by 8 a.m. even though I’m not officially “open” until 10. Gives me time for coffee and a little breakfast, tidying up, finishing paperwork, that sort of thing. Plus if one of my customers needs to drop off a vehicle, it’s convenient for them to do so before their work day begins. But I never make a 9 a.m. appointment. This morning I was puttering around, cleaning the bathroom, emptying trash, around 8:30 someone came in, said “I’m your 9:00 appointment, I’m here early.” Heh. I thought for a second, then I said “OK, let’s get ‘er done.” So I gathered the equipment for the job and by 9:30 I was finished. Meanwhile, around 9:15, my 10:00 appointment showed up early. “Hang in there for a few minutes,” I said, “while I finish with this one.” I was done with the second job by 10:15. The down side is that my breakfast got cold. And it looks like maybe my microwave is crapping out. On the bright side, I am ready for the usual Saturday onslaught of walk-ins without having to feel all apprehensive about getting my scheduled work done while I’m fielding their questions and making appointments with them. StereoMan Is Asheville Home Grown! Once again this year, StereoMan is participating in Asheville Home Grown, the “Go Local” movement that connects the people of our Asheville region with locally produced goods and services. Each year, Asheville Home Grown produces a booklet containing dozens of coupons offering significant savings at local businesses. We encourage you to buy the booklet and use as many of the coupons as you can! Our coupon offers a 15% savings on a car stereo install or on a home theater or whole house sound consultation. 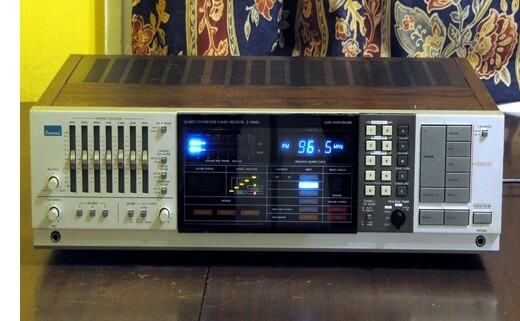 StereoMan sold this classic Sansui Z9000X receiver on eBay for $185. 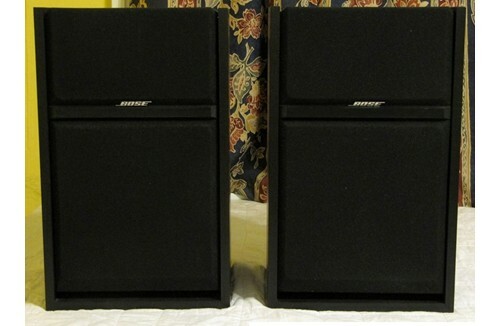 Bose 301 Series III Speakers Nearly Perfect In Every Way! 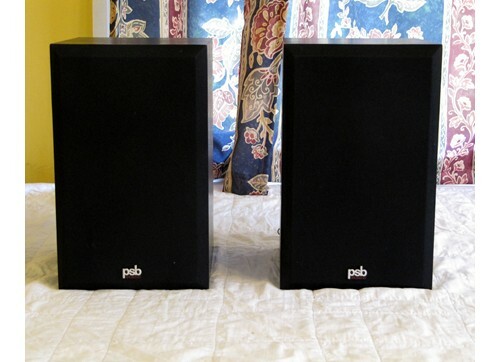 Original PSB Alphas Nearly Perfect In Every Way!